Around 6:50 pm, passersby hear the fire. About 25 minutes later you can see the flames on various Twitter videos. The fire eats through the centuries-old roof truss, from minute to minute, the recordings are worse. The use of the fire department is not perceived by the audience. Although several “Sapeurs-Pompiers” barracks are in walking distance, such as Rue de Sevigné or Rue du Cardinal Lemoine, almost 45 minutes pass before the Parisians see their fire department in action. The television station LCI notes that the firefighters are approaching at 19.33 – with boats and helicopters. It is possible that the firefighters with their heavy material initially could not penetrate the fire. Since taking office in 2014, Mayor Anne Hidalgo has pursued a policy of consequent traffic calming. Wide boulevards are narrowed to a lane. Many, but not everyone, like that: Commuters, craftsmen, suppliers have the disadvantage. However, they live mostly in the banlieue, the suburb, and do not vote in Paris. The former police prefect Michel Delpuech warned several times that “space for ambulances and police vehicles is needed”. At the same time, the desired change in traffic did not progress: the popular rental bicycles “Vélibs” were not available for months because the city of Paris wanted to change providers. The freely available electric “Autolib” lorries could end up in a financial fiasco. The service was discontinued in July 2018, the operators charge 233 million euros from the city. Consequence is a permanent congestion, in which rescue and police cars or fire vehicles hardly get through at peak times. Due to road constriction the south of Notre-Dame was hardly passable. Residents of nearby Île Saint-Louis report that depending on the time of day, they may take up to 45 minutes to leave the area by car. Did firefighters miss high ladder for Notre Dame? In the daily newspaper “Le Parisien” an expert explains that the fire was first fought from within. “Otherwise, flames and hot gases will be driven into the interior.” Thanks to an evacuation plan, art treasures were saved. The remains of the crown of thorns of Jesus, the cloak of St. Louis and some chalices are safe, confirmed Patrick Chauvet, Rector of the Cathedral. The same plan envisaged that the monumental paintings inside the church should be covered with protective films. Whether this actually happened is currently unclear. 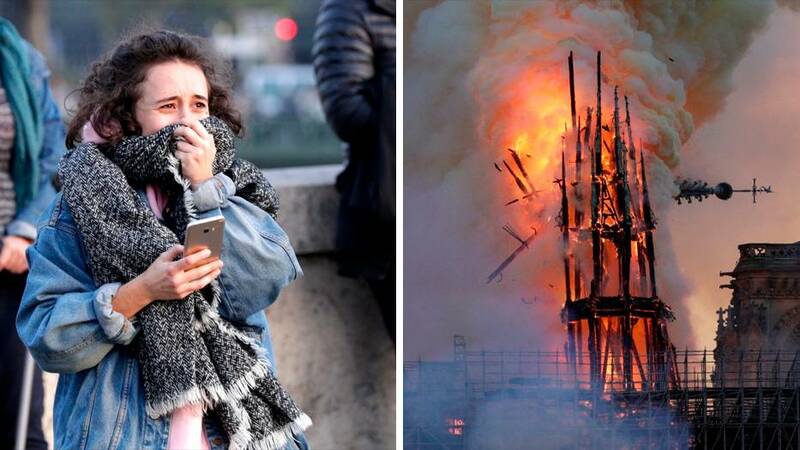 At the same time, heavy equipment seems to be missing in Paris: a fire ladder has a height of thirty meters. The roof of Notre Dame is 45 meters high, the towers measure 69 meters. “Le Figaro” reports that a fire ladder 46 meters high had to be transported from Versailles, 22 kilometers away. In optimal traffic conditions, the journey takes at least 40 to 50 minutes. By comparison, the currently highest aerial ladder, the Magirus 68L, measures 68 meters. It is for example in the South Korean capital Seoul in South Korea in use. Certainly, neither the urban planning measures of Madame Hidalgo nor the equipment of the fire brigade caused the fire. But at least behind closed doors in Paris you will have to ask yourself if everything was done to save Notre Dame.